If your vehicle’s automatic transmission is not shifting properly, you are right to be concerned. There is no need to panic; it could be a simple fix. After all, many of these problems can be fixed without a complete rebuild of your vehicle’s transmission. When you start noticing signs of transmission failure, it is important to take your vehicle to your trusted automotive technician to have the problem properly diagnosed and repaired. Not all mechanics will deal with transmission issues, so make sure your repair facility handles all kinds of repairs, including transmissions. Transmissions are complicated systems that keep your car going. A transmission problem can leave you setting on the side of the road, so make sure your transmission is properly serviced and taken in for routine maintenance. Vehicles today use a variety of automatic transmissions. 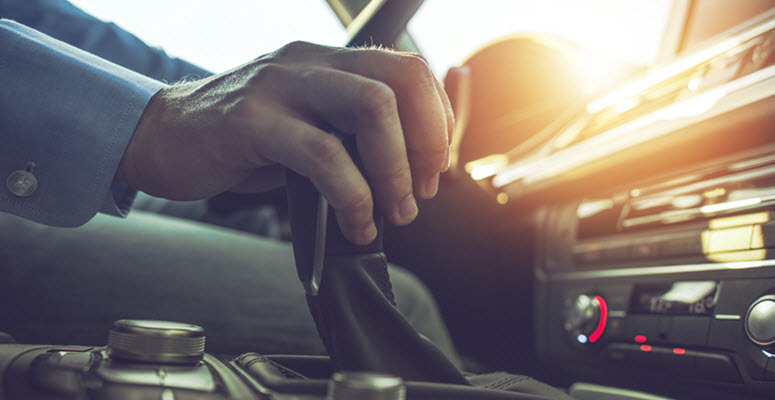 While many vehicles continue to use transmissions with planetary gear sets, there are vehicles with CVT transmissions and dual clutch transmissions, which are designed to have higher performance and greater fuel efficiency. Any of these automatic transmissions can leave you stuck if there is a glitch or failure. Sometimes your transmission gives you early warning signs of failure. If you notice any of these signs, take your vehicle in and have it checked. Some of the early warning signs of automatic transmission failure include low fluid levels, erratic shifting, discolored transmission fluid, or strange noises. Your vehicle’s transmission fluid gets dirty over time just like engine oil. Transmission fluid should be red, so if it is a different color, that could be a sign of abnormal wear in your transmission. This accelerated wear could be caused by a bearing going out or band or clutch needing replacement. If you check the transmission and discover dark fluid, you should change the fluid and filter. Talk with your auto mechanic about changing the fluid more often than the manual recommends. The fluid pump in your transmission creates high pressures that affect the shifting. If the fluid is low or dirty, this noise can get louder. The pump can get louder if it is failing or if there is a clog causing higher pressures than usual. If your vehicle is shifting hard, jerks when shifting, or shifts in ways that it usually doesn’t shift, it could be a sign that a part is either wearing out or failing in your vehicle’s transmission. Transmissions are computer-operated in this modern day, so a bad shift solenoid or sensor could be the culprit. What Causes A Transmission To Shift Erratically? If your vehicle is shifting erratically, you will need to take your vehicle in to a qualified repair facility. It will need to be scanned with a tool that can check the transmission’s pressure levels and the solenoid operation. Line pressures are affected by dirty transmission fluid, low fluid level, a clogged line, or faulty transmission pump can cause the transmission to slip. A bad sensor or solenoid could cause a shifting problem and that is a relatively easy fix by a qualified technician. Worn parts in the transmission could cause the transmission to shift erratically, but usually, worn parts lead to over revving or loose shifting. An automotive technician will carefully review the symptoms your vehicle is experiencing and then diagnose the problem. After determining the problem, they can tell you how your transmission problem could be fixed and give you an estimate for repairing the transmission problems. As soon as you notice erratic shifting of your automatic transmission, you should contact your auto repair shop and set up an appointment. German Motors and Imports has been providing quality automotive service to the San Diego area since 1959. Communities we serve include San Diego, La Jolla, Pacific Beach, and Clairemont, CA. 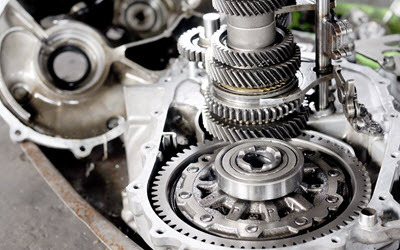 We handle complete transmission diagnostics and the full line of transmission repairs. With an established reputation in automotive repair, we deal with the entire German vehicle, including the transmission. Schedule your automotive service today by calling (858) 488-7878. Get your vehicle’s erratic shifting taken care of before the problem gets even worse and you have more damage to fix.